Online booking systems have simplified our living and have made the online booking industry far more efficient. It is generally expensive to develop an online appointment booking system because it takes a lot of time and experience to complete. The availability of online booking software is increasing which helps to makes it easier to find and more affordable. However, the increase in the amount of software available has made it more difficult to determine which is best for you. 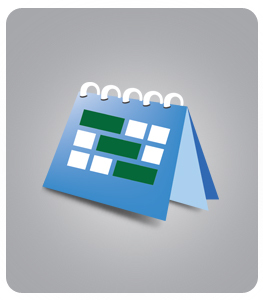 There are many things that need to be considered before purchasing online appointment booking software. Which online software will most fully suit your needs? These questions should be answered before you purchase a software. This article will help you to determine which software is right for you and your business. Before looking at online appointment booking software you must first determine some things about your company. This background information will help you to determine what your needs are and how they can be met. Here are some questions to ask yourself. 1. How many staff or resources work in your business? This is important as subscription software is often priced on the number of staff and resources in your business. 2. How many services does your business perform? This is important as subscription software is often priced on the number of services you offer. 3. What is your budget? Subscription Software can vary in cost per month so you must know what you can afford and what is out of your range. 4. What is the number one reason to use software? Keep this in mind when selecting the software. Easy-to-use: How experienced are you using software? Regardless of this answer, you want to make sure you can use the software effectively. Therefore, it must seem easy for you. Look for simple to use software. Customization- Does the software come with templates and options for making the website your own? Can you adjust the forms to fit your needs? Can you add images and logos? Support- Does the company offer support if you have trouble? Is there someone you can talk to if you make a mistake or the website has a glitch? This is crucial as your business will develop a reliance on this software. From time to time network and device issues may occur and the internet will not be available. Being able to talk to a real person to provide your future bookings details will be a lifesaver. Make sure support is included or options available for premium support. Updates- Are updates included or do you have to pay for each update? Updates are crucial for the security and accuracy of your website, so make sure you can access them freely and often. Visit the bookitlive features page to find out more information. If your business runs schedules sessions for groups of people such as fitness training, yoga classes etc you need to be able to control the number of people that can book into an individual time slot. The bookitlive online booking service group booking feature allows you to schedule sessions and events with more than one person. 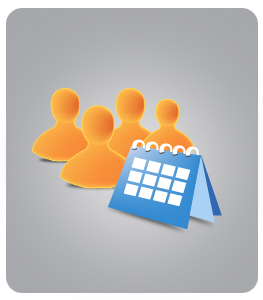 The group booking feature can be configured to accept bookings for a multiple people in a single booking or multiple booking for the same timeslot. For Example, booking 10 people in a single booking or 10 separate bookings for the same time. Ideal for training courses, Yoga Classes, Go Karting, Flu vaccinations where multiple people attend the same session at the same time. One person can make a booking for the whole group. It's easy. Sign up for your free trial now! If you are a small business and looking to move your appointment booking online you need to limit your requirements to meet existing booking software functionality. Why? Lots of requirements cost lots of money to develop. Large Corporation often fall into the trap of making software work the way they currently operate instead of using the exiting software functionality. This results in the software being customised for their specific requirements and locking into ongoing customisation costs. You might be thinking well the software works exactly the way their business operates that is great isn’t it. But why did they want to buy the software in the first place instead of building their own software from scratch to work the way they operate. To save money of cause, it is very expensive to build your own software and building software is not the core function of the business. 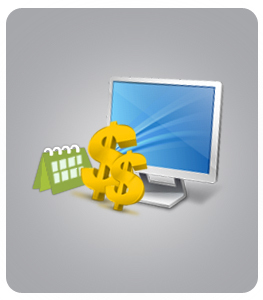 Purchasing off the shelf software is the most cost effective way for a business to use software. If you then customise the software the software becomes unique to your business which then increases the cost defeats the original reason to purchase. Small businesses have a lot less money to spend on software so it is out of the question to build your own software. To keep costs low subscription based online booking software fills the gap. It allows access to software at the fraction of the cost. But small businesses often fall into the same trap when selecting software to link the selection to their current operational methods (just like corporations do). To avoid the cost small business needs to adapt the way they operate to the software functions as a starting point to experience the benefits of the software. But what about those extra features? As subscription software is constantly evolving you will find new functionality is constantly added that will meet your original requirements in later release. Subscription software does not require you to pay for new releases so any new functionality is free. Your ongoing subscription payment contributes to the funding for new features.